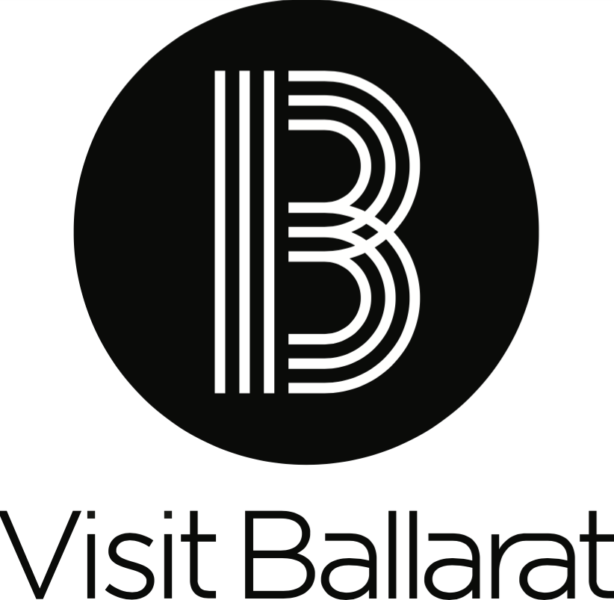 Employees and relatives of the Ballarat International Foto Biennale are not eligible. The entry must be a still work that has been substantially produced by photographic means, including analogue and digital photography, collage and mixed media of an individual who is distinguished in art, letters, science, sports or politics within the Australian community. In a broad sense, it should be a recognisable image of an individual person. The entrant must take the photograph from life (that is, of a physical, living person). Self-portraits will be accepted. Each entry must be submitted as a digital file saved as a jpeg. The original must have been created using either traditional photographic emulsion or a digital process in two-dimensional format. Entries must be the original work of the photographer, who must also be the sole copyright holder of the work. They must also ensure that they have obtained the consent of their subject/s. This includes all persons featured in their entry and requires that their subject/s understand their rights regarding the photograph being taken. 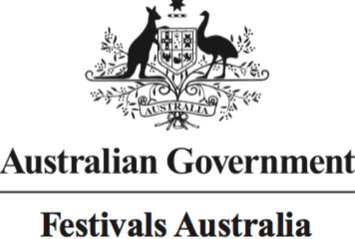 Entries must not have previously been exhibited, or selected as finalists of any other prize. The work must not be used in promotional material for any other event or exhibition until the conclusion of the 2017 Ballarat International Martin Kantor Portrait Prize. Who owns the Photograph once it is submitted? Intellectual property rights in entries remain with the finalist as the copyright owner. It is a condition of entry that the entrant grants to the Foto Biennale, without conditions, a perpetual royalty-free licence to use, publicly display, publicise, reproduce the entry or part of an entry, including in electronic form and broadcast, for publicity, promotional, educational and administrative purposes associated with the 2017 Martin Kantor Portrait Prize, in both digital and print mediums. For example, the work of previous finalists may be reproduced in publications promoting the Ballarat International Martin Kantor Portrait Prize in future years. Each entrant may submit unlimited entries for selection for the prize. A fully completed online entry form must accompany each entry. Entrants must submit an artist’s statement of a maximum 200 words as part of the entry form. They must obtain the consent of persons featured in their portraits and any comments about those persons included in the artist’s statement. The organisers will edit artist statements for consistency before publication. The fee for one entry is $50 for non-friends (become a ‘Friend’<Click button to become a friend> and receive a 10% off entry fee). Once a log-in account has been created, entrants may replace any of their entries with new images up to the closing date of 31 May 2017. However, if you have deleted an image and not replaced it by the time entries close you will not be refunded. Payment must be made via Paypal (including Visa and Mastercard). Entrants whose payments cannot be processed will be considered ineligible. Each entry must be submitted as a digital file saved as a jpeg. It is preferred that files are 20cm @ 300 dpi. Original prints (hard copies) of entries will not be accepted for the initial judging and selection process. The organisers will accept submissions from NOW up until midnight on 31 May 2017. What if my entry is selected for exhibition? Finalists will be notified by 30 June 2017. Entrants who are not selected, as finalists will not be notified. Works must be delivered to Backspace Gallery in Ballarat by 15 August 2017. Dates and times for delivery to be confirmed. Works selected for exhibition must be available for continuous display for the duration of the exhibition and the tour. The Ballarat International Foto Biennale reserves the right to remove works from the exhibition at its discretion. It is the responsibility of finalists to organise and pay for the transport of their selected work to and from the exhibiton venue. The Foto Biennale will not be liable for any loss or damage during this transport. Any damage or loss in transit of a finalist’s work, however caused, is the responsibility of the finalist and you are therefore advised to insure it against such risks. You are not expected to insure the work while it is on display or on tour. We will insure the work, for its replacement value, against all customary risks of physical loss or damage from external causes for the period that the work is on show in Ballarat or on the exhibition tour, subject to the terms and conditions. There is an acquisitive first prize of $15,000 (GST inclusive) – (to check GST status with treasurer). They must be submitted as finished, framed prints that are stable enough to withstand a multi-venue tour. Unframed works will not be accepted. We ask that no D-rings be attached to the reverse of the work, as all hanging hardware will be fixed to the works by the technician. Framed portraits must use acrylic glazing or Perspex only, not glass. Portraits must be no more than 80cm in height x 80cm in width, including frame size. Multi-panel works are regarded as one work and must come within the maximum dimensions above. They must include installation instructions. Portraits must clearly bear the title of the work and name, address and telephone number of the entrant on the reverse of the work. We will ask finalists to re-print, re-mat or re-frame work that we think is not suitable for display and to re-deliver it at their own expense. Does my photograph need to be taken in Australia? No it doesn’t but it must be of an individual who is distinguished in art, letters, science, sports or politics within the Australian community. What is meant by “the portrait must be taken from life”? The image must feature a physical, living person. Can I use editing software, such as Photoshop, to alter my photograph? Do I have to pay the entry fee once, or for every entry I submit? You need to pay $50 (or 10% discount for Friends) for each entry. You can submit unlimited entries. Can I enter more than one photograph as part of a single entry? Yes. You can feature multiple images as part of one entry, However, if selected as a finalist this set of images must be printed and framed as one work within the maximum frame requirements (no larger than 80cm wide). For example, this could be presented as a diptych or triptych, or it could feature multiple small portraits framed as one work. If entering multiple images as one entry please ensure your uploaded jpeg file reflects how the images will be framed – do not send multiple images intended to be presented as one work, only as one jpeg. What if I want to change one of my submitted photographs? The log-in system allows you to manage your entries by uploading a new image to replace an existing entry, by closing date 31 May 2017. However, we will not give refunds to entrants who decide they want to delete a paid entry that will not be replaced by another image. A panel nominated by the Ballarat International Foto Biennale will select the finalist works for exhibition from the digital images supplied. The judges will select the winner of the acquisitive prize from the exhibited work. The winner will be announced on Sunday 20 August 2017. At all stages, the decision of the judges is final and no discussion will be entered into. Will my photograph be returned to me after the exhibition? The Prize is acquisitive; meaning the printed winning framed photograph immediately becomes the property of the Ballarat International Foto Biennale. All other unsold work must be collected between 18 to 24 September 2017 from exhibition venue.